Complete Function Hire provides furniture, equipment and AV hire for Melbourne weddings and events. Meet the team in our monthly Who's Who at Complete Function Hire. At Complete Function Hire, we pride ourselves on our customer service. Our ability to offer a highly personalised service to our wedding and event clients is largely based on the attitudes of our awesome team. Meet Matt Slingo (Matty) who considers himself a Complete Function Hire ‘all-rounder’. Matty’s hard work and ‘can do’ attitude sees him managing various important parts of our business so that we can continue to deliver amazing events all over Melbourne. Growing up in Shepparton, Matty has always been a ‘Jack of all trades’. Matty is one of those rare sorts that is great at lots of things. Today, Matty is an integral part of the Complete Function Hire team across a number of areas including IT, transport and operations (as well as always pitching in wherever he is needed in true Complete Function Hire spirit). 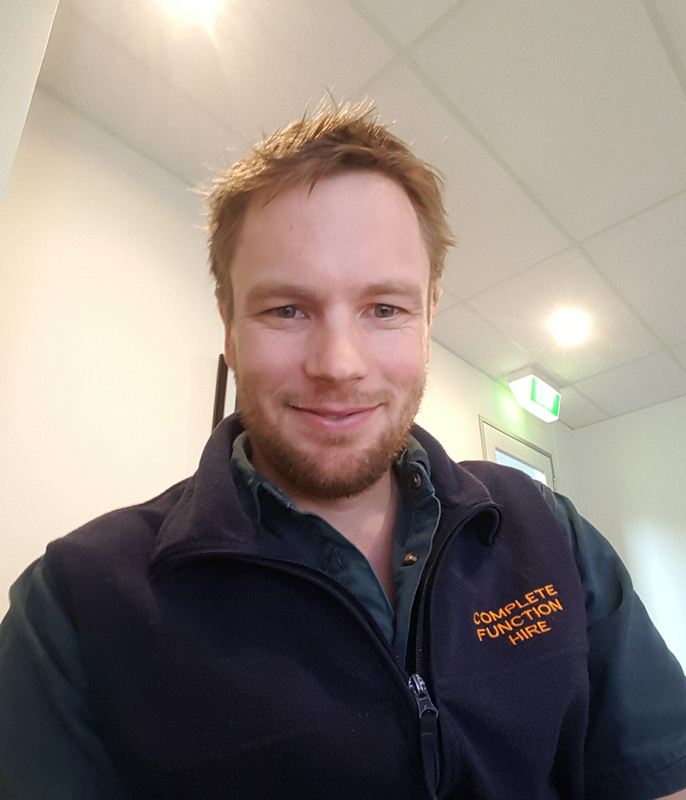 When he is not working hard on delivering an amazing wedding or event, Matty enjoys watching the footy and having a laugh with family and friends. On this month’s edition of ‘Who’s Who at Complete Function Hire’ we get to know Matty and find out why he is so great at what he does. We are lucky to work on such a wide range of events at Complete Function Hire which is one of the reasons I love the job so much. One that stands out for me is the Opera in the Market event where we supply equipment and furniture hire for around 2000 guests theatre style and 450 guests for a really amazing dinner function. This event is really special and probably one of the most rewarding to be a part of. We get to work closely with the team from Fred and Ginger Catering and St Vincent’s to deliver this awesome charity event. There is a lot to organise in terms of logistics, running schedules, bump in and bump out requirements as well as operating all the audio visual equipment during the concert. Being part of such a large event is always hard work to ensure everything is perfect but it is also a lot of fun and very satisfying to see the end result. 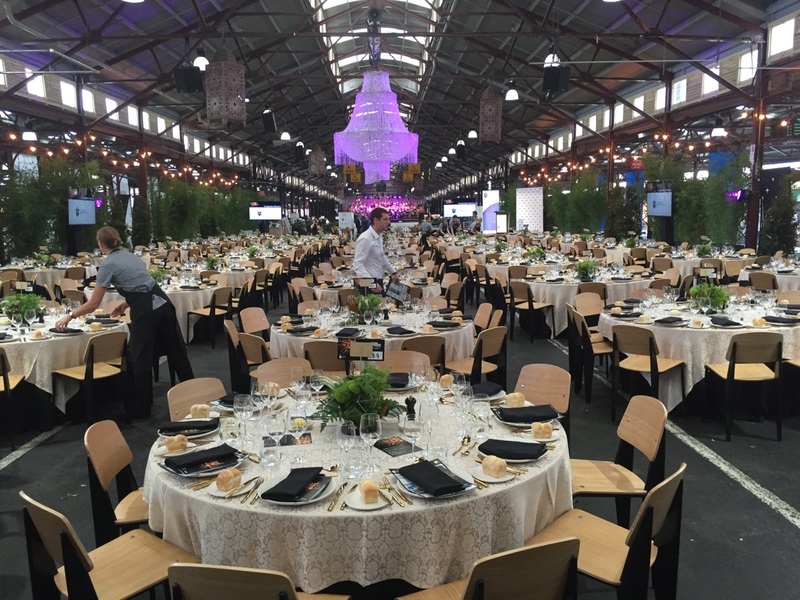 Opera In The Market is an iconic Melbourne event that Matt and the Complete Function Hire Team enjoy being a part of. What do you enjoy about working at Complete Function Hire? There is a great team spirit at Complete Function Hire – we all work hard but also know how to have a laugh. It’s a great team and friendly environment to work in. Snowboarding, spending time with family and friends, attempting to teach myself guitar and going to the footy. If you need help organising your upcoming wedding or event and want to work with a team that enjoys providing exceptional customer service, click here.